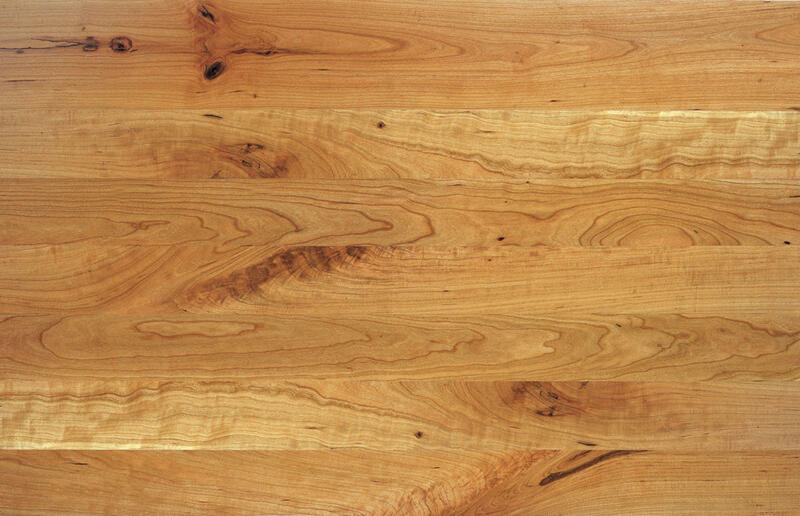 Cherry is a fine-grained wood and has a reddish-brown heartwood, interspersed with cream-colored sapwood. It is about 25% softer than Red Oak, but also about 30% more stable. In our Mesa grade, Cherry will contain color variation, knots up to 2” in diameter, including open knots, holes up to 3/4” in diameter, cracks which don’t compromise the integrity of the flooring, along with other character marks. We do allow edge defect in this grade. 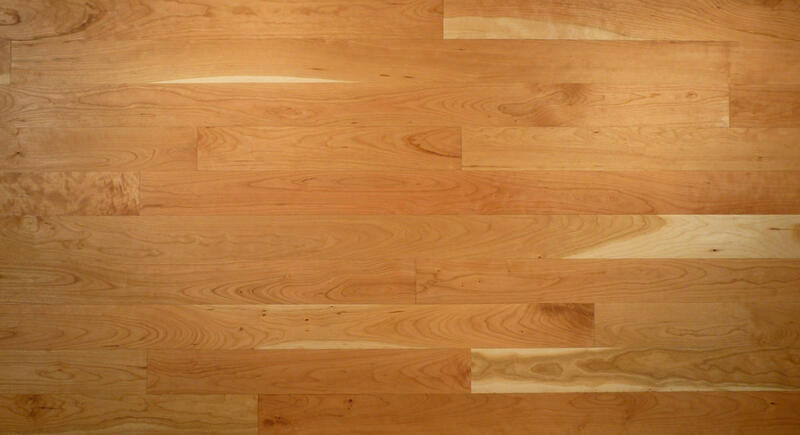 Mesa grade Cherry results in a floor with lots of character and contrast. Lengths of planks vary from 1’ to 10’, with an average of at least 5’. Hacienda, our highest grade, has less extreme variations in color. Small pin knots (up to 3/16” in diameter) are allowed. It can contain small amounts of gum and mineral, and sap not to exceed 10% of the surface area of the floor. Lengths of planks vary from 1’ to 10’, with an average of about 3.5’.